Music Lessons – Summer Music Camps – Band Classes – Request More Info! 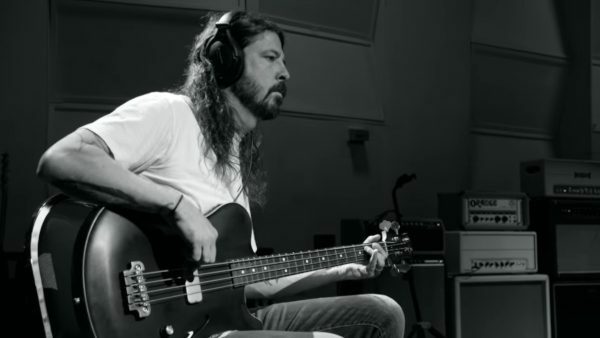 Join the Band is featured in “Play” by Dave Grohl. Play Music. Make Friends. Have a Blast. Interested in Music Lessons and Rock Bands? 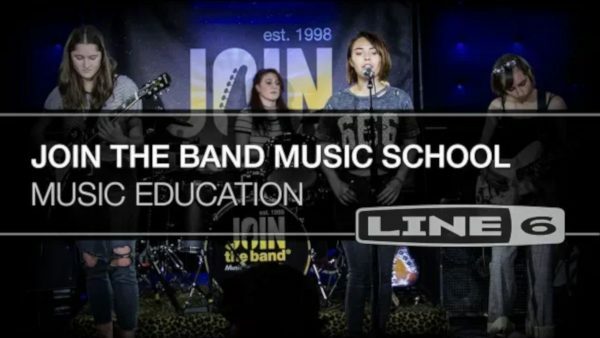 Watch this Music Education Video by Line 6 about Join the Band. Join the Band Music Lessons Studio in the Los Angeles area of Sherman Oaks, California is featured in a music education documentary by the Line 6 amplifier and guitar company. This music education documentary, features interviews with teachers, Join the Band students in music lessons, rock band rehearsals, and live concert footage. Call today at 818-345-8950 and start ROCKIN’ tomorrow! We welcome beginners through advanced levels. Our teachers will customize a lesson plan to meet your goals. Are you ready to experience what it is like to be in a band? For over 20 years we have been placing students in rock bands, blues bands, jazz bands, and more. We know you want to play. Come play with us… Join the Band! Are You Looking For Music Lessons In Sherman Oaks? You have come to the right place for music lessons and band classes. 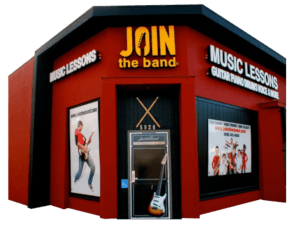 Join the Band® offers music lessons and band classes for students of all ages at our Sherman Oaks studio. Since our teachers are university trained and experienced music professionals, we can give you the best music lesson experience possible. Therefore whether you play rock, metal, jazz, blues, pop, country, blue grass, etc… we have the right teacher and band program for you. We offer guitar lessons, piano lessons, voice lessons, singing lessons, drum lessons, ukulele lessons, bass guitar lessons, saxophone lessons, and more. Since 1998, thousands of students have participated in our band and lesson programs. When you combine music lessons with band classes, you learn how to apply your music lessons in a practical way. Since our “Join the Band” band classes feature a variety of styles we can offer you a very diverse music lesson experience. To learn more about the “Join the Band” band programs click here. Kid Bands – Teen Bands – Adult Bands. We opened our doors as a small music lessons studio in 1998. Since that time, we have become a well established and trusted music lesson and band program in the community of Sherman Oaks. Our studio also serves the Los Angeles communities of Encino, Studio City, Van Nuys, Toluca Lake, North Hollywood and Valley Village in the San Fernando Valley. What are Join the Band families are saying? The best Music school we ever attended, Teachers are committed and show up every week , our kids love to come and are eager to learn. … It’s clear that the owner really cares about the quality of music education. Love it !!!! I LOVE Join The Band!!! They have the most qualified voice/instrumental instructors, all from the best music colleges like Berklee College of Music. My son has both taken lessons and participated in their band program over the last seven years, … Join the Band’s quality instruction and the opportunity to perform at their amazing shows gives music students invaluable experiences that go beyond learning how to play their instrument — it gives them confidence, collaboration skills, and a love of music that lasts a lifetime. On top of that, their studio spaces are state of the art and their staff is always welcoming and efficient. I highly recommend! YEAR ROUND BAND CLASSES THAT PERFORM AT PREMIER NIGHT CLUBS IN LOS ANGELES. 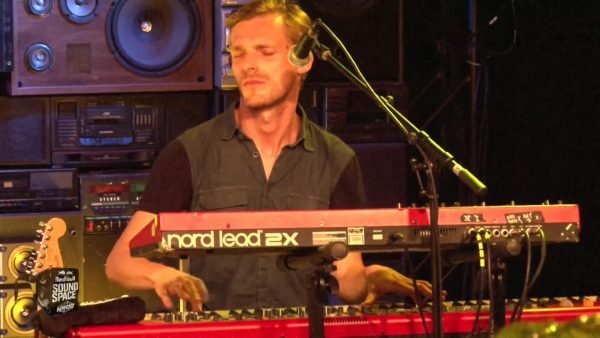 Our band member students perform at famous night clubs in Los Angeles. These venues include The Roxy, The Mint, The Federal Bar and more. Our private music lessons students also participate in low-pressure music recitals. Music teachers in our Sherman Oaks studio are all university trained professionals that love to teach. Because of their experience they can cater to the needs of new and experienced music students. 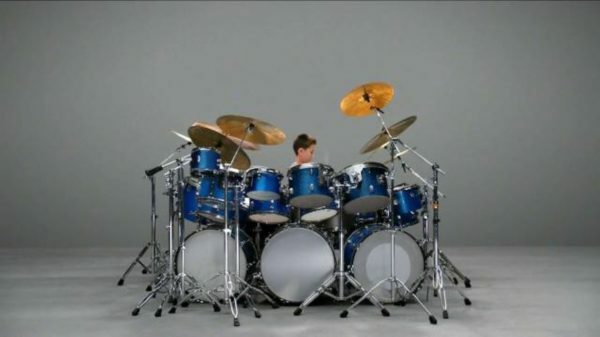 Join the Band® drum student Johnny (11), was featured drummer in a national Verizon commercial. A big thank you, to all the music teachers at JTB that continue to give our students professional guidance. Check out our Drum Lesson programs. “The first part of the Play documentary focuses on the behind-the-scenes preparation for the performance, which is unveiled in the second part. “The film is intercut with young musicians from the Join The Band music school in the San Fernando Valley (ed. Sherman Oaks) practicing their craft, working relentlessly to get it right, and always coming back to the conclusion that, in Grohl’s words, ‘just like any kid, the reward is just to Play,’” Grohl’s Roswell Films added. What are families saying about music lessons at Join the Band? We do not believe that we are the best music lessons studio because of the number of students and bands that have participated in our programs. We believe we are the best because families think we are the best. Click here to read what our students and parents are saying. Visit our Google Review Page for more reviews on music lessons including guitar, piano, voice/singing, drums and bass lessons. Our popular band classes include rock bands, blues bands, pop bands, jazz bands country bands and more. As a parent, we realize you have a choice between music lesson studios. We continually renovate and improve our Sherman Oaks / Los Angeles facilities. We also provide ongoing training to our staff. This ensures we are providing our students with the best music lesson and band class experience. Call us today, or drop by our Sherman Oaks studio and see why more families trust us for their child’s music lessons. Our team of university trained teachers are here to guide you in an effective, fun, and engaging way. Lessons are tailored to meet your needs. At Join the Band, you can schedule two or more children on the same day, in music lessons and band classes. For your convenience, our Sherman Oaks studio is open six days a week. Our music lessons studio has been serving the Los Angeles community of Sherman Oaks, since 1998. Play Music, Make Friends, Have A Blast! There’s nothing better than taking music lessons and playing in a real performing band! We’ll connect you with other musicians, help you rehearse and let you show it all off at our famous Join the Band® Concerts. Come be a part of it & Join the Band®! In our music lessons studio, everyone participates in and encourages Teamwork, Respect, Patience, Focus, Kindness, Honesty, and Support.